Maria Zware [as the surname is spelt on her birth certificate] was the only daughter born to Andreas Zwahr and his wife Christiane nee Mutscher, (from Sornssig – about 6 km’s southeast of Drehsa.). Anna, wife of Andreas Benad [?] the builder at Drehsa. Karl Zwahr at Drehsa (Her uncle, the youngest brother of Andreas, Johann, Peter and Michael Zwar). 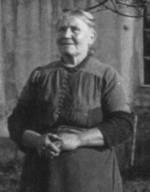 Magdalena Morbe, from Oelsa – near Lobau, about 10 km’s southeast of Drehsa. Her mother Christiane died when Maria was a young girl. Then Maria’s father died in 1869. 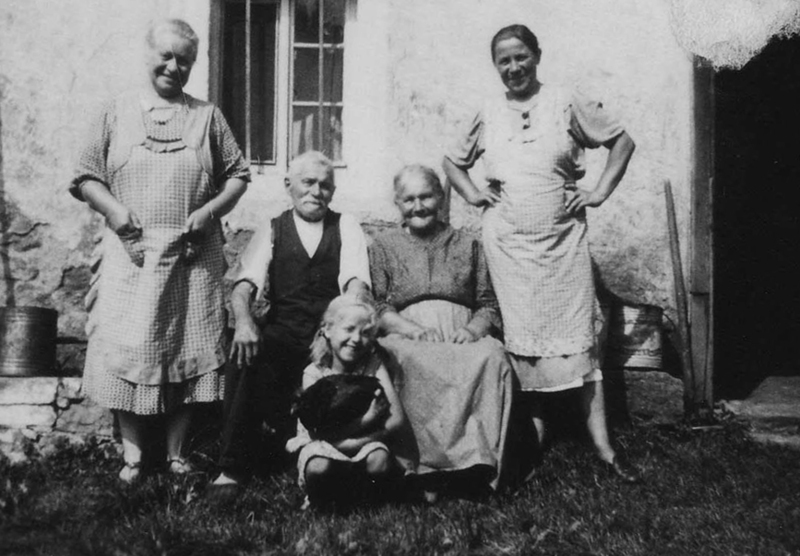 Maria and her brother Ernst were brought up with the two children of her uncle and godfather, Karl Zwahr, and his wife. Karl was a Master butcher at Grosspostwitz – directly south of Bautzen, and about 11 km’s southwest of Drehsa. In 1878 her uncle Michael Zwar visited from Broadford in Victoria, Australia. He tried to convince Maria to migrate to Australia but she decided to stay in Saxony. However her brother Ernst went to Australia in 1880, and there were times during and after the first World War when Maria regretted not having gone to Australia too. Maria married Bernhard Hartmann in 1878. 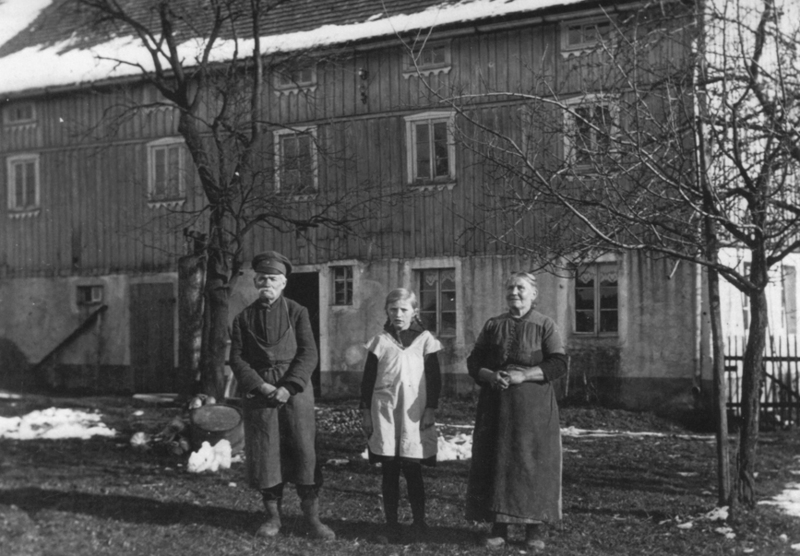 They lived at Rammenau – 30 km’s west of Drehsa. A granddaughter and great granddaughter of Maria and Bernhard were living in the same house 120 years later, in 1998. The house had been remodelled. Greetings to you and your whole household across the ocean. You will no doubt be surprised to get a letter from me, from Uncle Andreas’ daughter Maria Zwar of Drehsa. After the death of my dear father when I was a child of 10 years I was raised by uncle Karl Zwahr and grew up with Johann and August. Uncle Karl looked after me as if I was his own daughter, and I still mourn him to this day. My thoughts, ever since childhood are of Australia. I still have from my childhood a letter I received from Uncle Peter that he wrote to my sainted father. I treasure it greatly. I often told my husband’s relatives about Australia, and how my brother Ernst also migrated to Australia. He has long since gone to his eternal rest, as John of Grosspostwitz wrote to me. When Uncle Michael was in Germany in 1878 he wanted to take me back with him to Australia. At that time there were golden times in Germany, but what difficult times we are experiencing now after the terrible World War, and ever rising prices of goods; bread at 300 Marks, a cwt of potatoes 900 Marks, a cwt wheat 1700 marks, a pound of meat 1000 marks, a suit 100,000 marks, and a pair of boots 40,000 marks. When Uncle Michael was in Germany he took back with him many goods at cheap prices, but today they can’t be bought at all, and no employment. Old people are in great trouble. We had to go through bad times. We had seven children but five of them died. One of them, 32 years old, whose husband died in an accident, so we had to take in their children, a son and a daughter. The two daughters are married but live far from here and so we are alone. PS Lieber Johann, I must just let you know that 8000 French soldiers have entered Germany. We are facing a new war. We can’t buy anything. Our money is worthless. If only we had the money that you in Australia have, we could put some by for our old age, but here it is impossible; it’s getting worse. If you receive this letter and are in good health, please write to us to show that you are still alive. In 1938 Maria and Bernhard celebrated their Diamond Wedding, along with their two daughters and families and many friends, when he was 84 and she was 81 years old. Bernhard was a musical person. He was in the Regimental Band when he served in the army in 1903. He belonged to a male choir for 50 years and was actively involved in promoting male choirs. He gave of his best for the Church Choir. He was honoured by the German Male Choir Society with a special letter and with the Golden Honour Pin. He had belonged to the male choir since 1871 and was the oldest member. For 60 years he had been a member of the Soldiers Kyfhauser League [similar to the R.S.L. in Australia] and he received a special letter for his loyalty to the League. For many years he served the community as a volunteer Fire Fighter. The anniversary couple took great interest in the political events of the last few years. The photo in the newspaper shows the couple on the seat in the front of their little house. Several years after their marriage they had bought the block of land where they still lived, Rammenau No 89 D, and here they found happiness with their family on their own patch of dirt. It says that the couple, very much liked by all, are both still healthy and fit for their age. Two sons and five daughters were born to the marriage. Both sons and three daughters had already died. Ruth’s daughter Carmen Gurtler lives there and runs a dress and fabric shop from the bottom floor. Carmen has two daughters, one of whom is married and has a child. The family have been gracious hosts in recent years to visitors from Australia.